Pet owners throughout the world depend on dog walkers to take care of their beloved pets while they are away. Whether you need a dog walker five days a week, during times of travel, or just on occasion, it’s vital to hire someone you trust and to prepare your dog and home ahead of time. Taking steps to choose the right dog walker and to ensure your dog’s safety can make all the difference in your and your dog’s experience. Below are a few expert tips on how to prepare your pup, your home, and yourself for the arrival of a walker and how to choose a trustworthy person to take care of your pooch. For your dog’s comfort and the safety of your walker, spend time getting your dog comfortable around strangers. The best time to do this is while they are still a young puppy. Introduce your puppy to a lot of people and have those people feed them treats, pet them, and interact with them. Doing this can help your dog learn to love humans. If your dog is already older, then you can still socialize them, but they may need for you to ease them into the interactions more carefully. You can do this by having people toss them treats from a distance and letting them decide when they are comfortable enough to approach. You may also want to hire a trainer to help you if your dog seems overly fearful or at all aggressive. Whether you choose to use a no-pull device, a regular harness, or a buckle collar, you want to be sure that your dog cannot escape during a walk. Make sure that the fit on their harness or collar is not too loose (you should be able to fit two stacked fingers between the collar and their neck). Inspect the harness or collar buckles, snaps, and fabric occasionally to make sure they are still in good condition. If your dog tends to slip out of his regular collar or has a small head, then consider using a martingale collar or a padded, escape-proof harness instead. Doing this will keep your dog safe even if the no-pull device breaks or comes loose. Will your dog be loose when your walker arrives? If so, then take measures to ensure that they cannot slip out the front door. Spend some time teaching your dog not to dash out of doors and to not jump on those who enter them. You can also set up a barricade, such as a baby gate, to keep your dog from getting to the door while the walker comes in. Keep in mind that your dog will be more likely to bolt when you are not there with them. 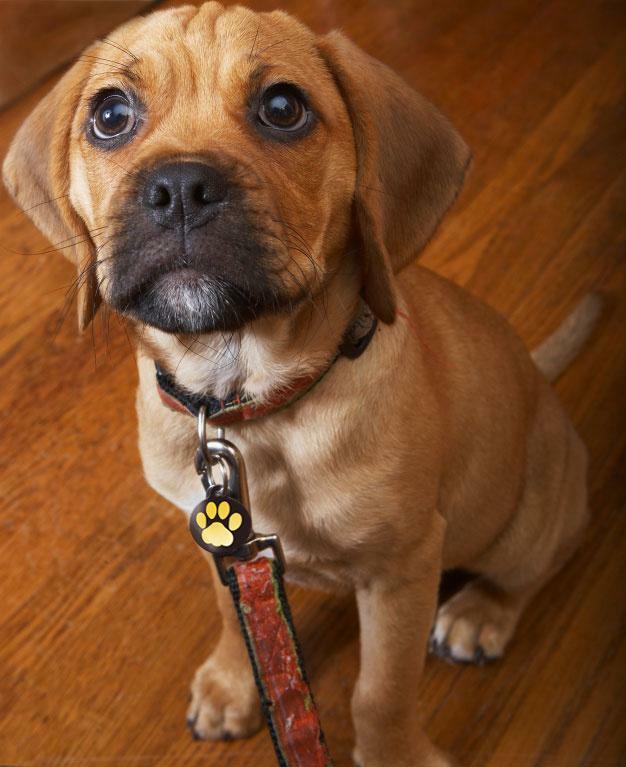 Make sure that your dog’s collar has their current ID tag on it, in case they gets lost. The best kind of ID tags are digital ones, like PetHub tags. These allow you to have all of your pet’s information stored in an online profile, so if someone finds them, they will have access to everything needed to get your pet home quickly! One of the great benefits of these tags, is they include a Safety Circle, where you can store all the important contact info for anyone your dog is safe with. This includes your dog walker. You can add their name & contact info so if they are walking your pup and they get lost, someone can reach out to them should they be found! 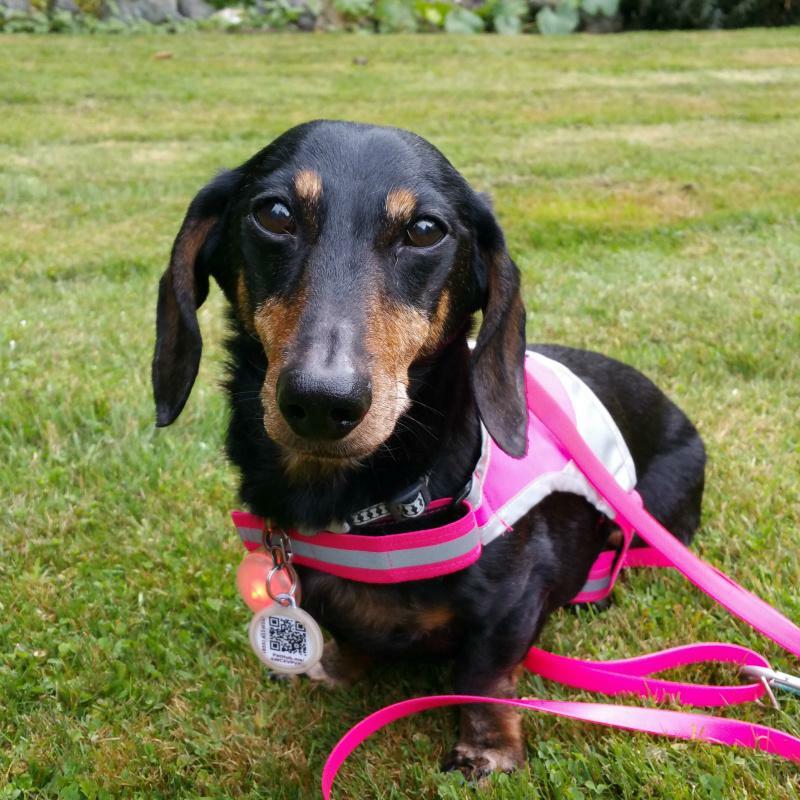 If they typically wear a harness or a no-pull device for walks, then have them wear their collar with tags also, or attach another tag to their harness. Hopefully, they will never need your contact information, but it’s best to be prepared just in case. Another way to keep them safe is to get them microchipped. A microchip will not take the place of her collar and tags, since only places such at vet offices or shelters will be able to read the microchip, but a microchip cannot slip off and get lost and is another great peace of mind. If you know that there is construction down the road that causes your dog to bolt, or an aggressive dog that often gets out of his fence on Fifth Street, then leave route walking instructions for your walker. A good way to do this is to print out a map of your location with nearby streets and to highlight the routes that you are comfortable with your walker taking your dog on. Does your dog tend to overheat easily? Bolt whenever they see a bicycle? Or sit down and stop walking exactly fifteen minutes into a walk? If your dog has a behavior that might surprise your dog walker or put your dog’s safety in jeopardy, then communicate with your walker, so that they can prepare for it. 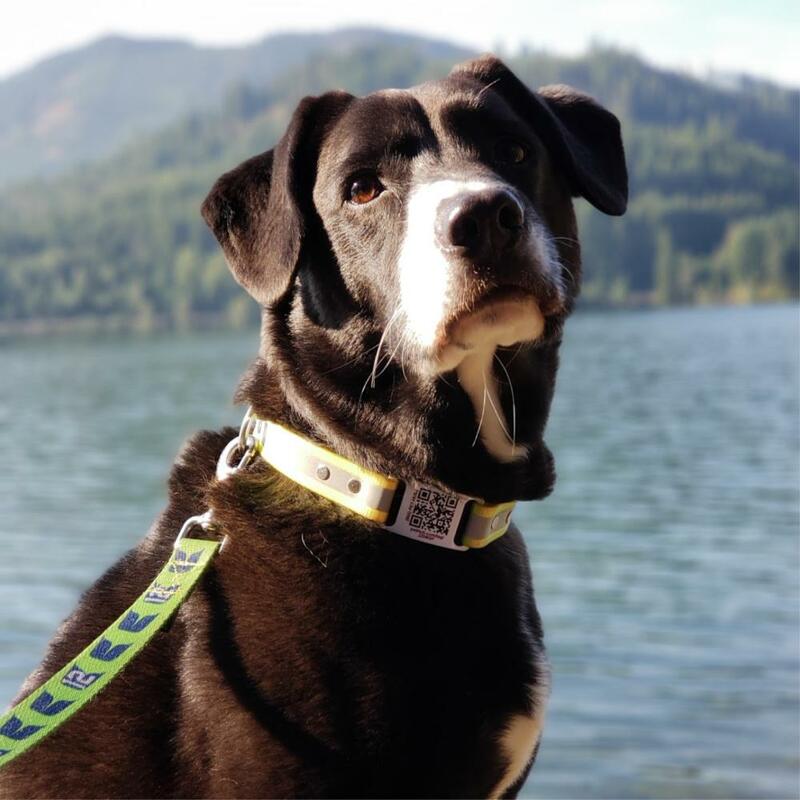 If you are using a large dog walking company, like Wag!, then you might want to include those details in your dog’s profile so that new walkers can see that information. Miscommunications happen. It’s best to ensure that your walker came when you were expecting the, to, rather than assuming that they did. If you are using a company like Wag!, then you will be able to see on your phone app that your walker showed up. If you are using an individual that you know, then you can request a simple text when they leave your home, to let you know all went well. Your dog is your best friend, your adventure partner, your cuddle buddy, and so much more. When choosing a pet professional, it’s important to choose one that you trust. Whether that professional is a single person or a company like Wag!, spending a bit of time making sure that whoever you are hiring is trustworthy, is very important. Knowing you have someone you can trust can bring you a lot of peace of mind, and it will ensure that your dog’s experience is wonderful too. There a few things that you should look for when choosing your dog walker. When hiring a dog walker, look for someone who is licensed and insured. Many companies and individuals will advertise that they are, but just because a walker’s website does not mention it that does not mean that the walker is not, simply ask! Being licensed shows that the business or individual is traceable and valid. Being insured shows a level of conscientiousness and professionalism. These are basic ways to find out if someone is a professional dog walker or is simply posting ads online or throwing up signs in hopes of making a little bit of cash with little experience. A good dog walker probably has other clients and therefore references. If you are booking your walkers with a business like Wag!, then you can find numerous reviews and recommendations online. If you are using a smaller company or hiring an individual, then look for reviews on places like Yelp or ask for recommendations from other pet parents they have helped in the past. Spend time evaluating your potential dog walker’s experience and qualifications. What size dogs are they comfortable with? Do they know how to use commands with your pet? Are they okay with taking your pet to a dog park or only on short leash walks? Make sure to learn as much as you can to make sure they are a right fit for your dog. If you are hiring an individual, then ask them about their experience. You can also ask them specific questions like how they interact with a dog the first time meeting or ask them what they would do in certain walking situations, like coming across a dog that is off-leash. Their answers to your questions should make you feel confident about hiring them, or they should help you decide to go elsewhere. Regardless of who you choose to go with, make sure that you have that person or company’s contact information and that they have yours. You always want to make sure that you know who is caring for your dog and you have a way to get in touch with that person or company during an emergency. It is essential to hire a dog walker you can trust and to take steps to ensure your dog’s well-being while you are gone. Doing so will provide you with peace of mind and will keep your dog safe. Once you know that your dog is being taken care of you can relax, and they can enjoy their outing with their new walker. Having a dog walker can be a great way for your pup to get some excercise while you're at work, and can give you peace of mind knowing they are being cared for. As a trusted caretaker for your pet, you need to add your dog walkers to your pet's safety circle. The more numbers and contacts on your pet's PetHub profile, the more likely they are to get home to you quickly should they ever get lost.